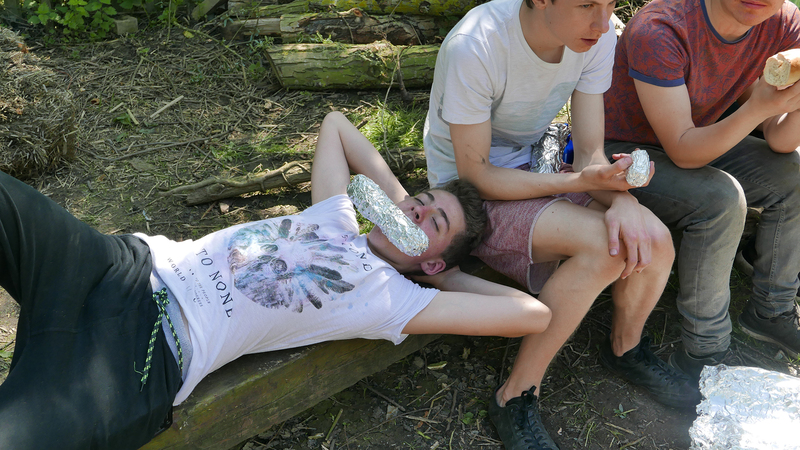 How to survive on a desert island?? 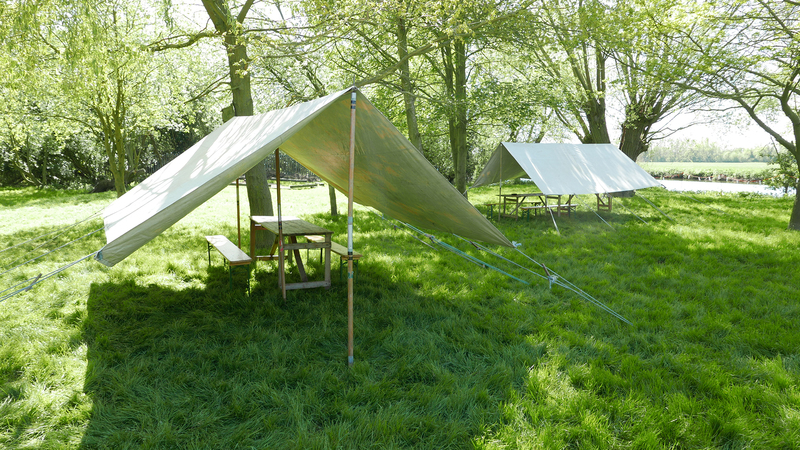 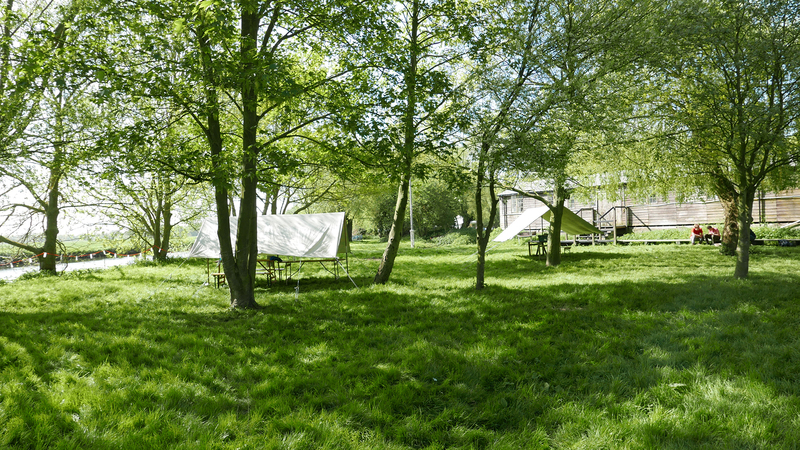 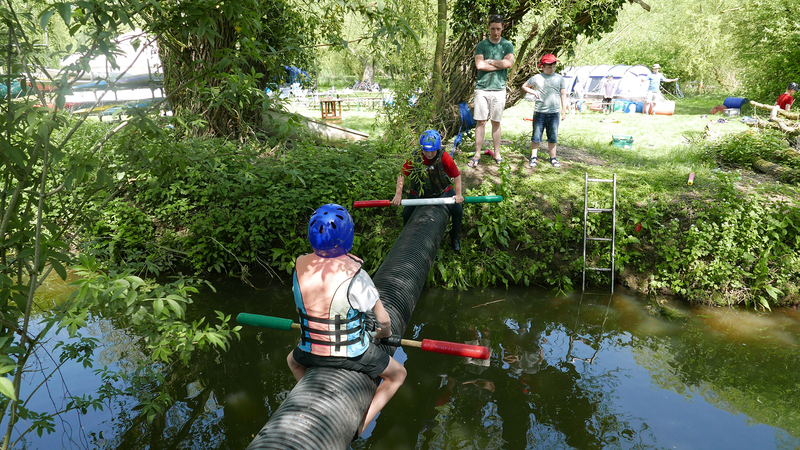 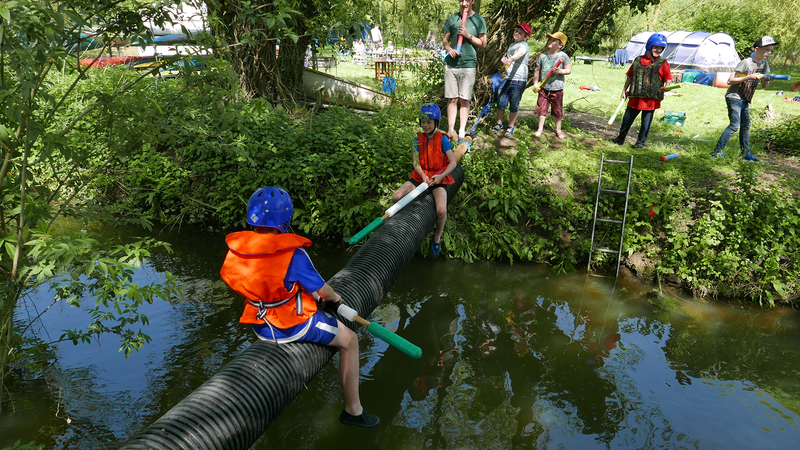 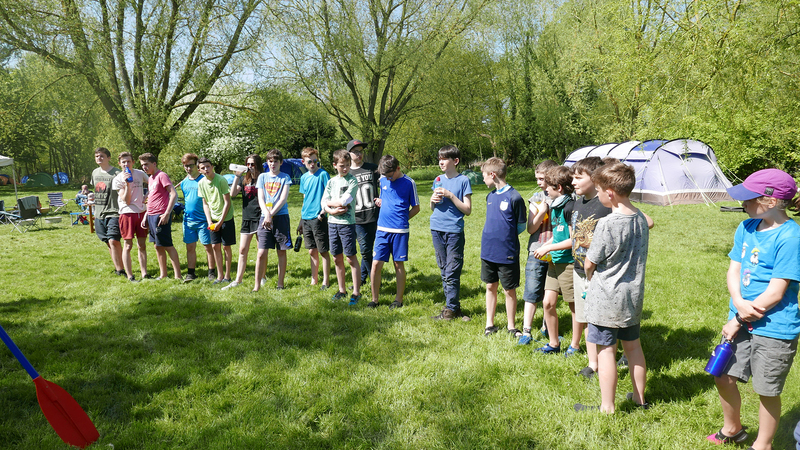 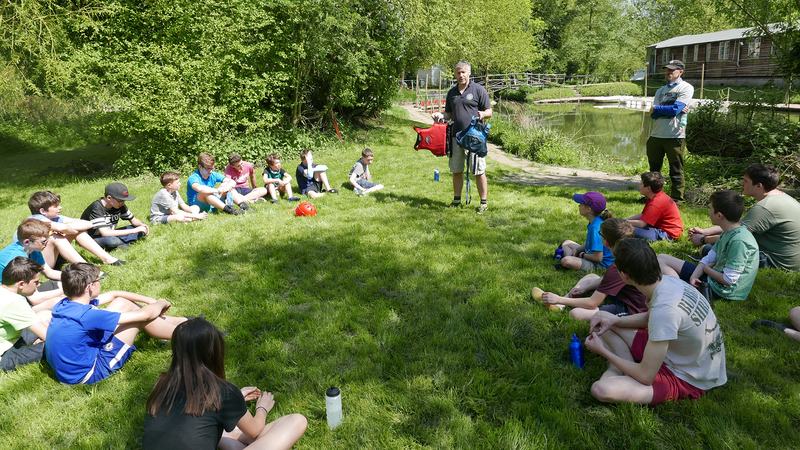 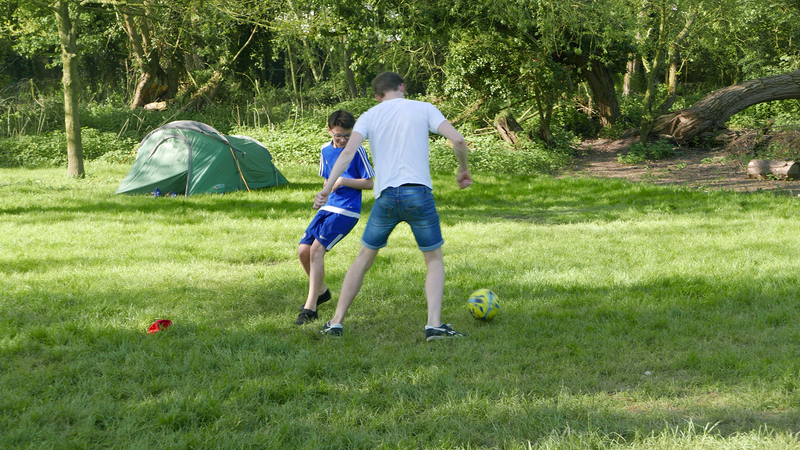 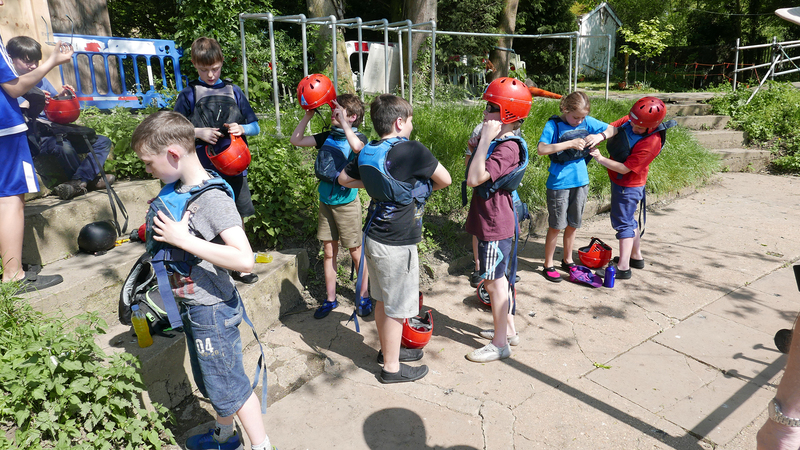 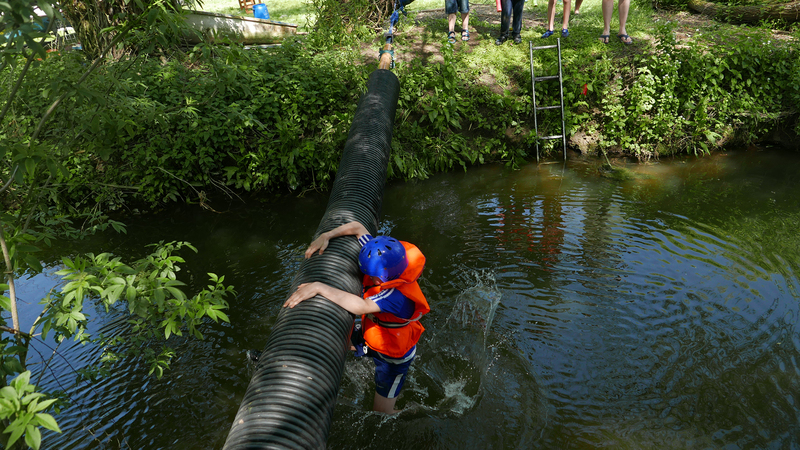 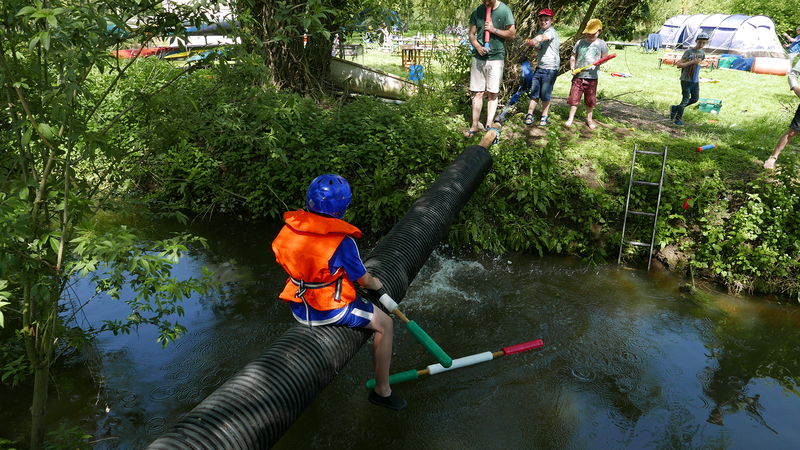 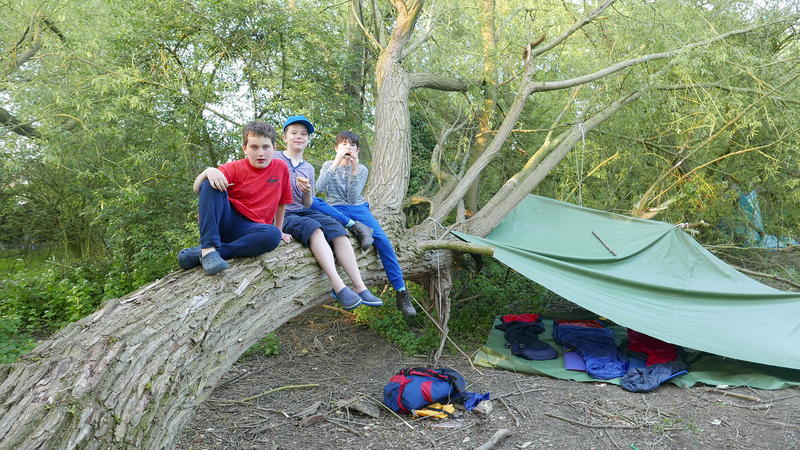 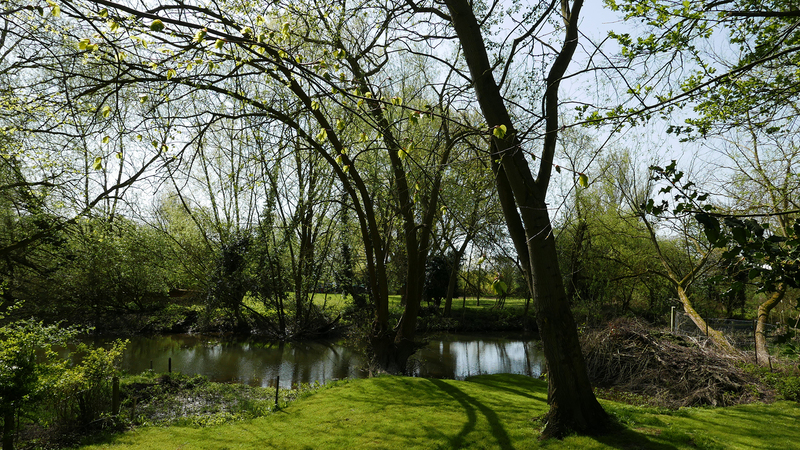 What a great camp we had with the 26th Cambridge Scouts last weekend (4th-7th May, 2018)! 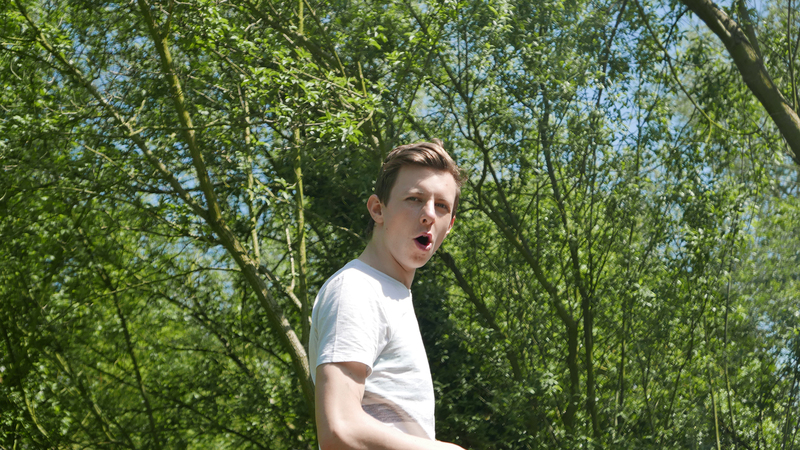 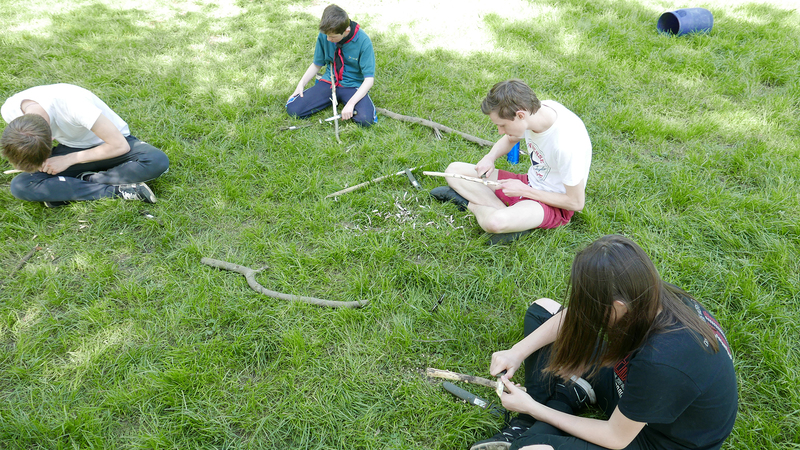 We covered the whole survival skills badge and some other badges too! 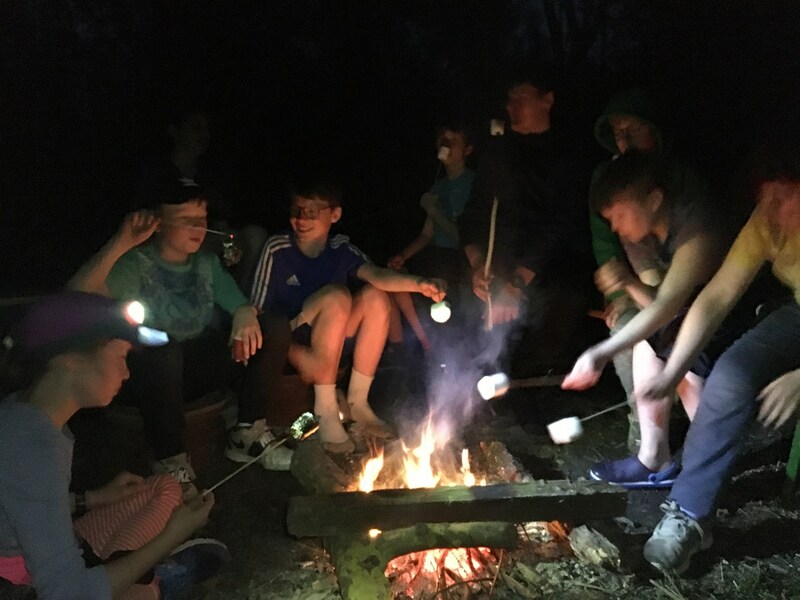 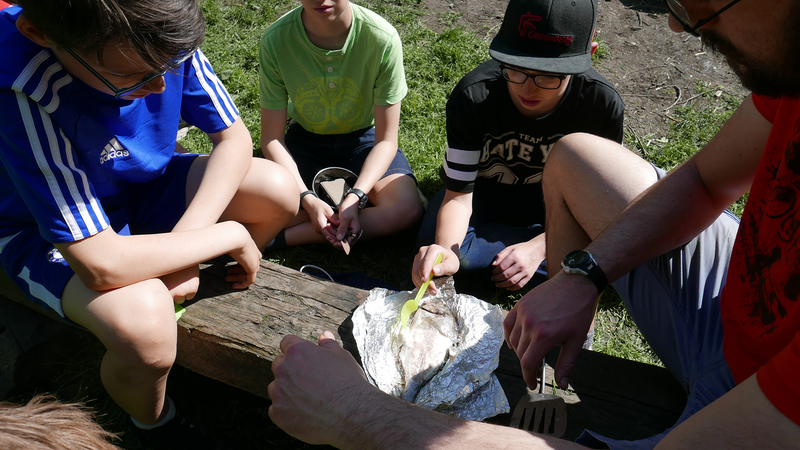 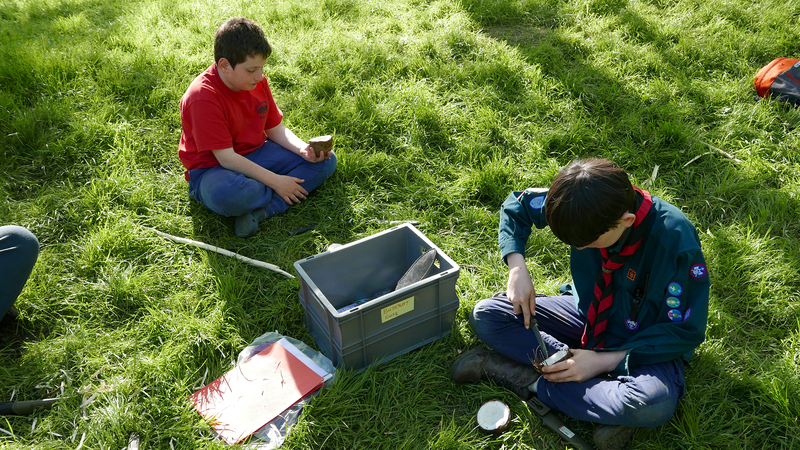 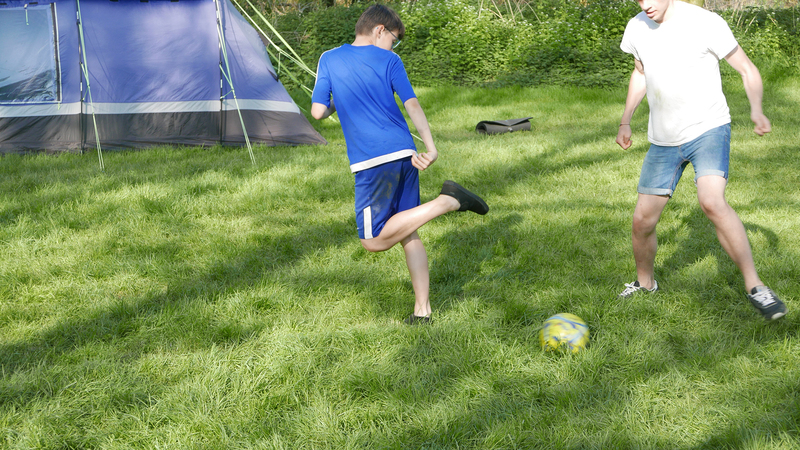 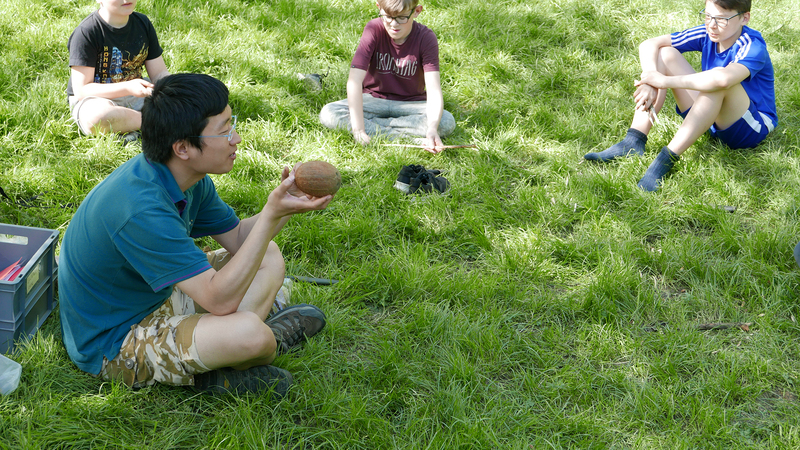 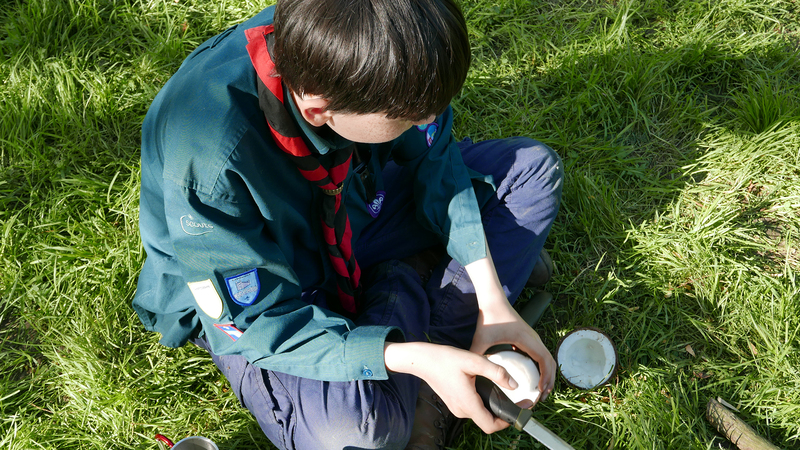 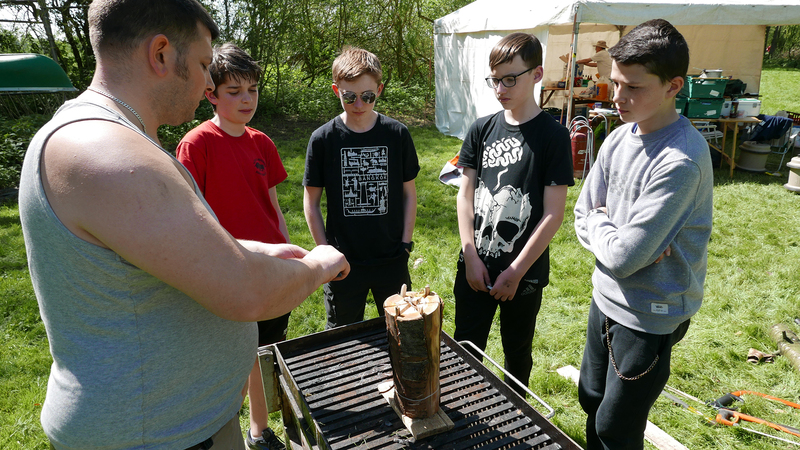 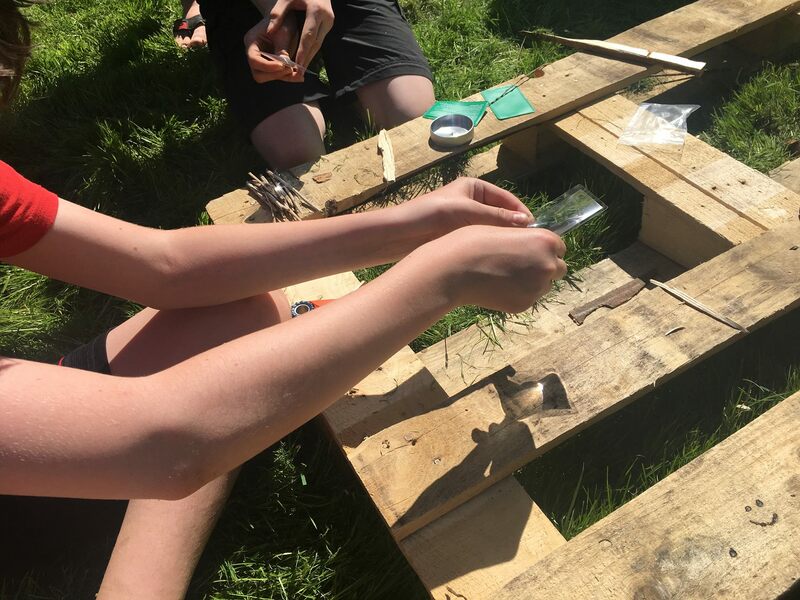 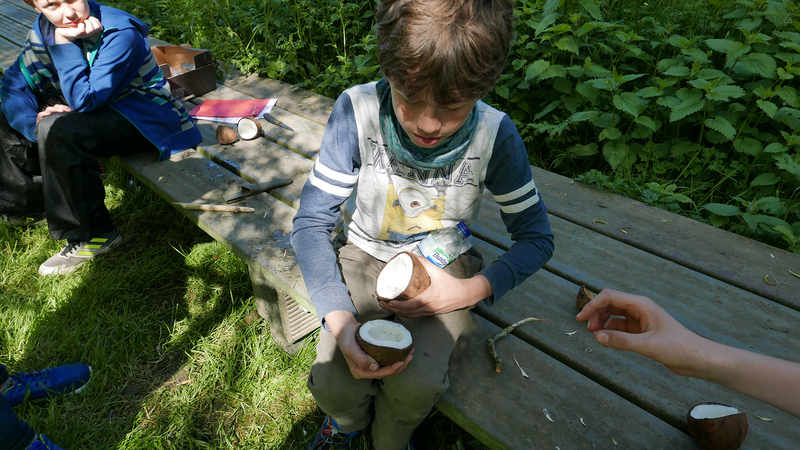 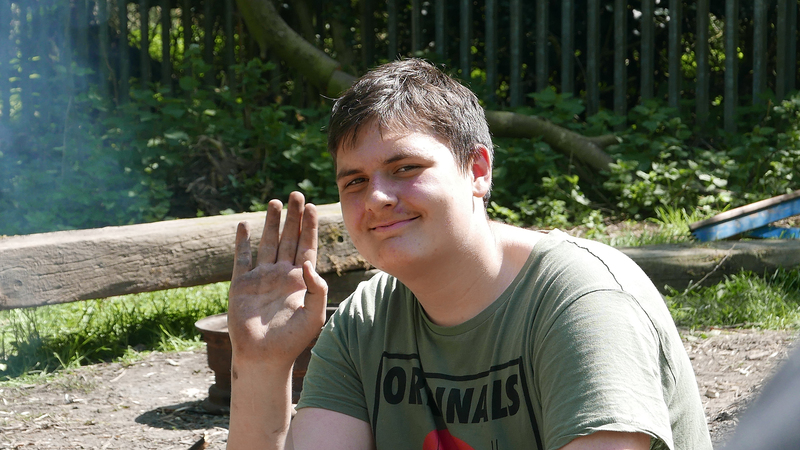 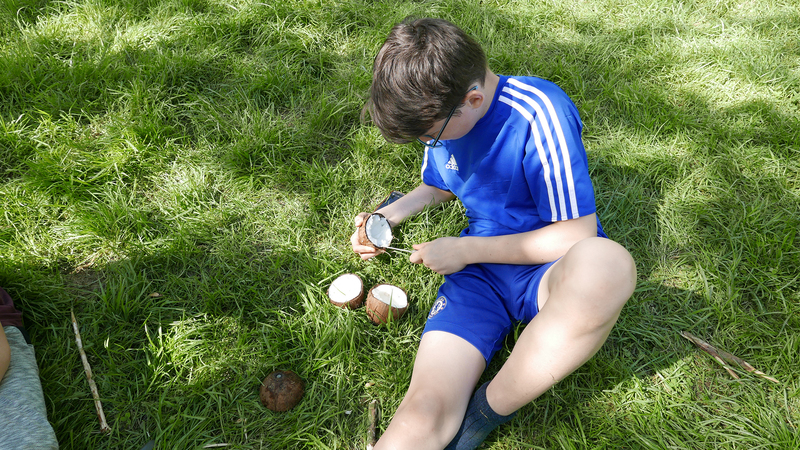 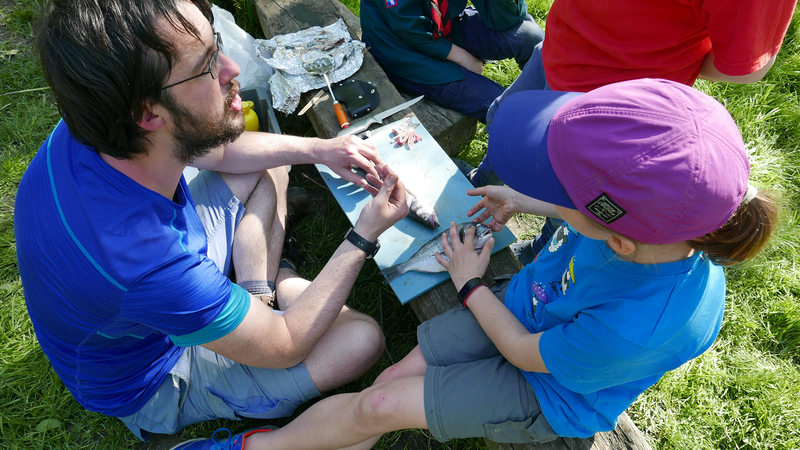 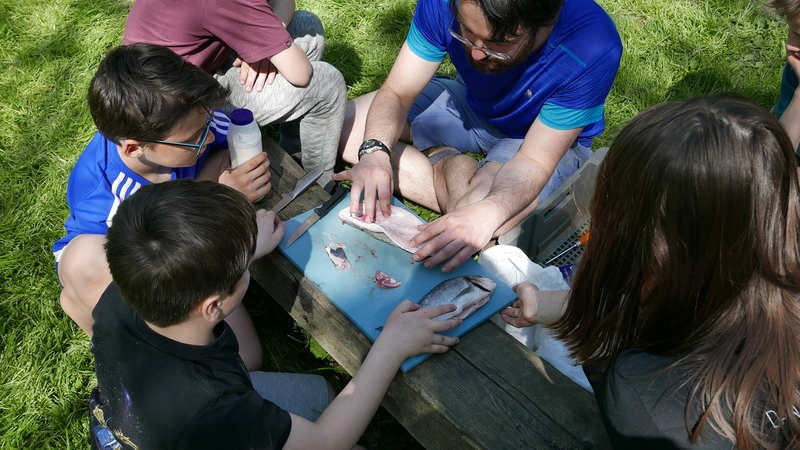 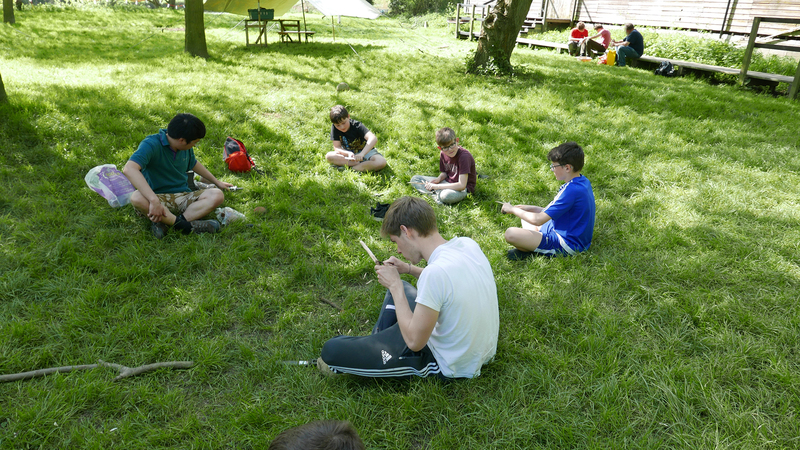 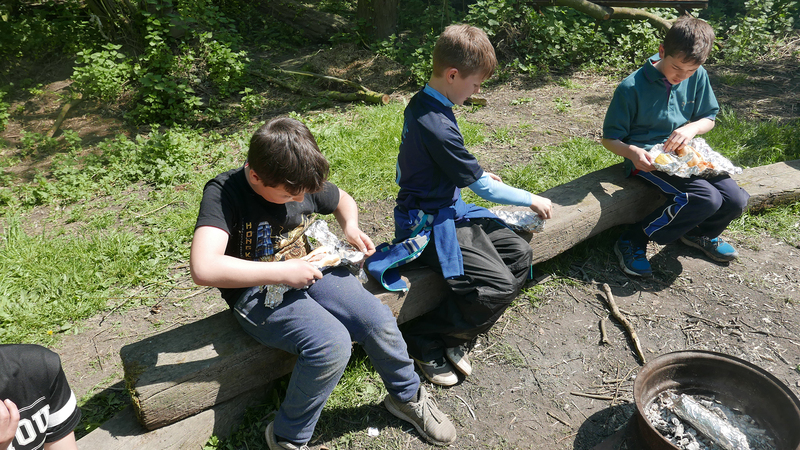 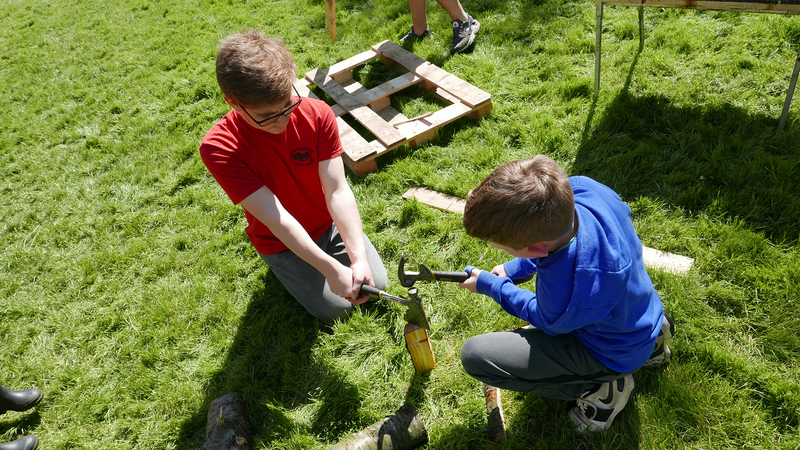 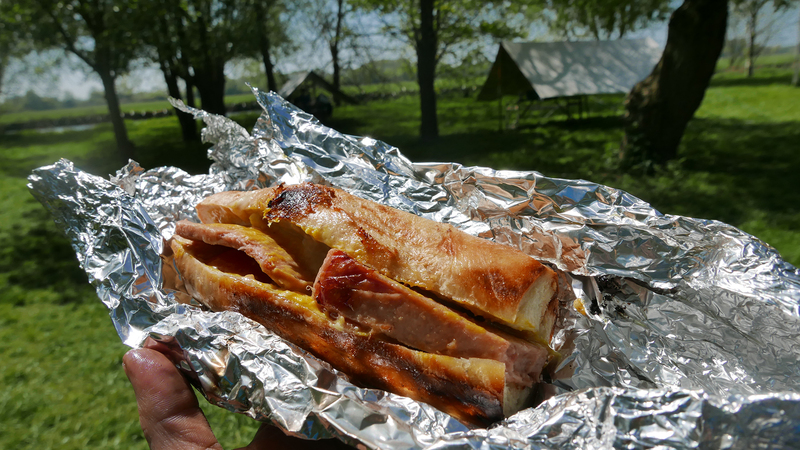 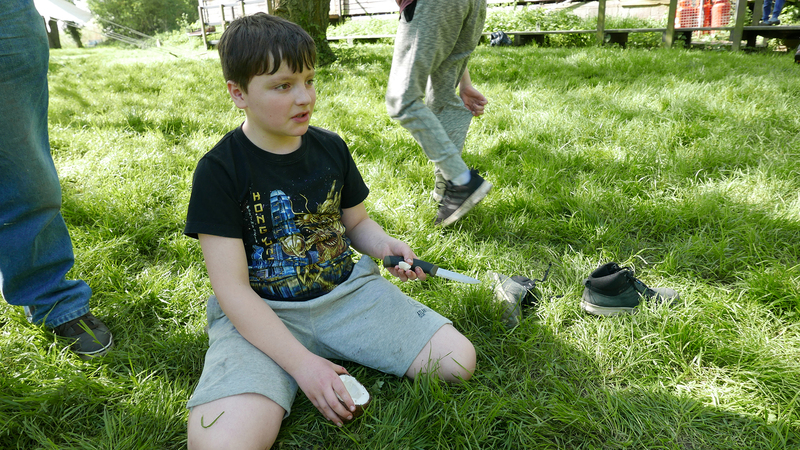 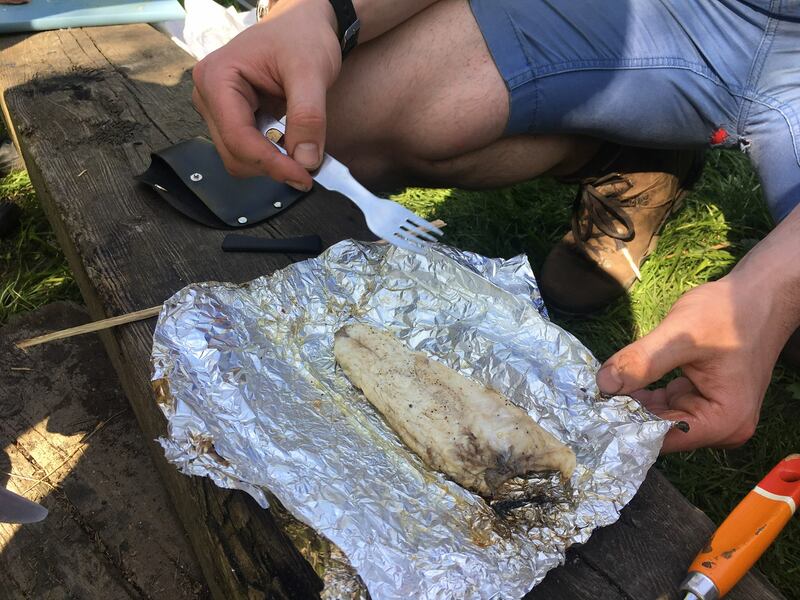 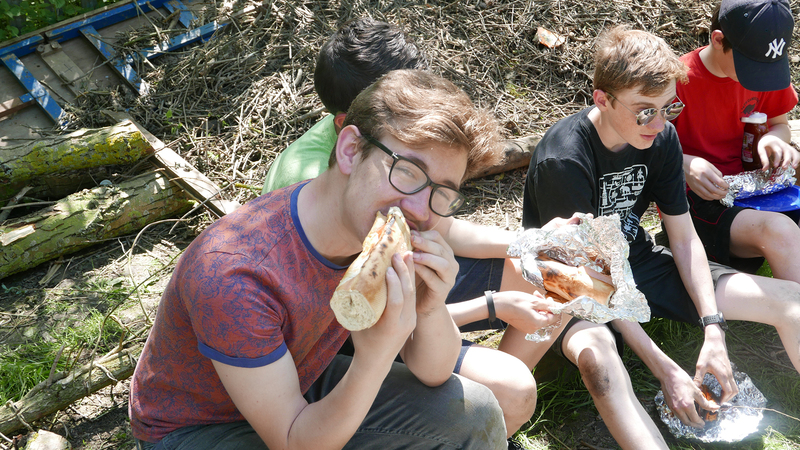 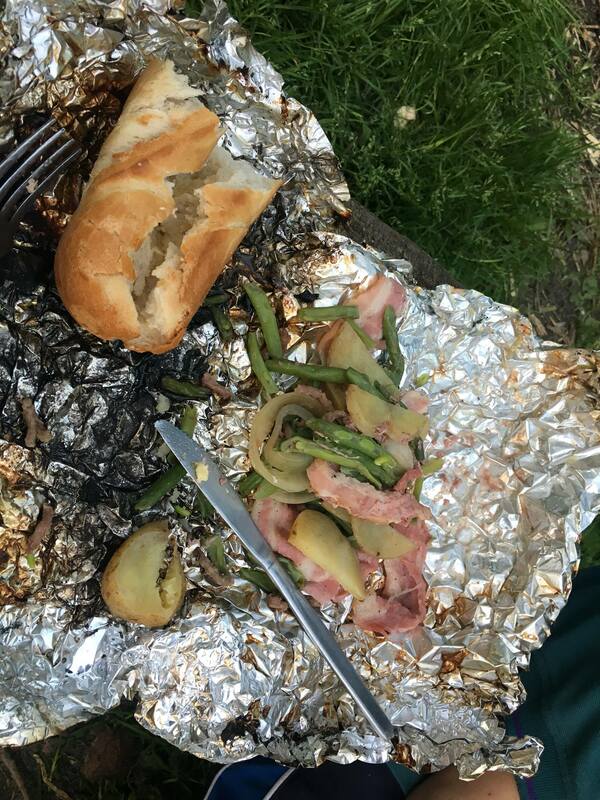 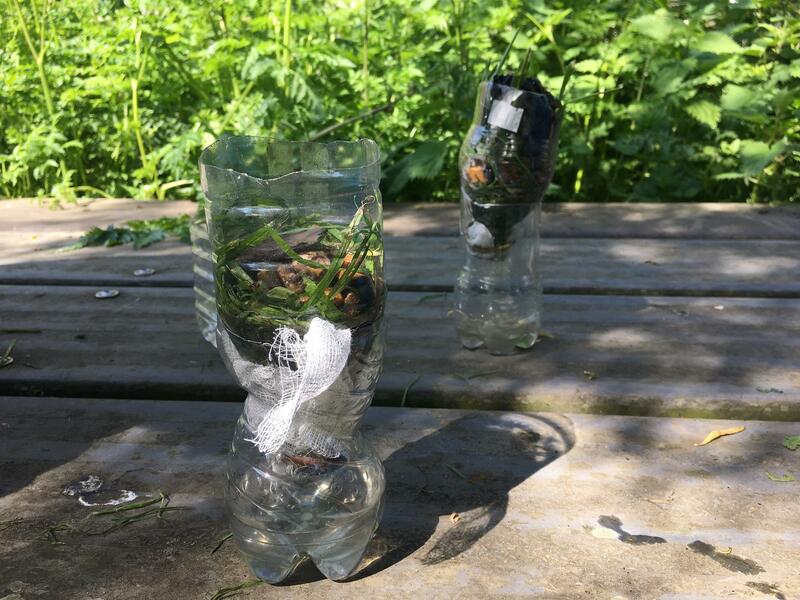 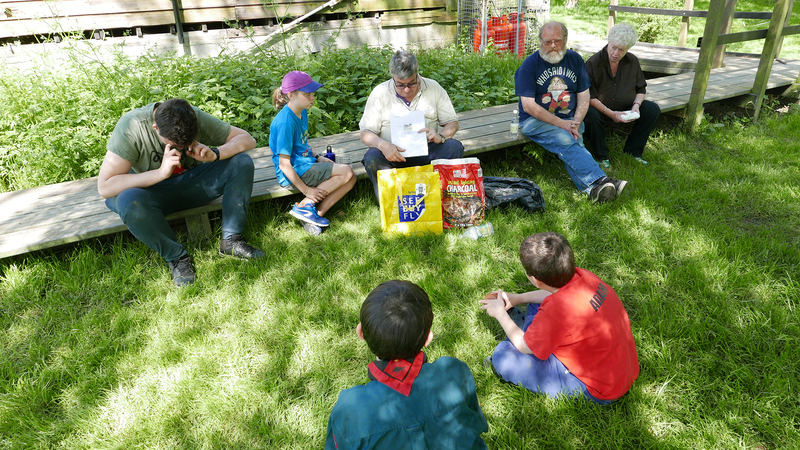 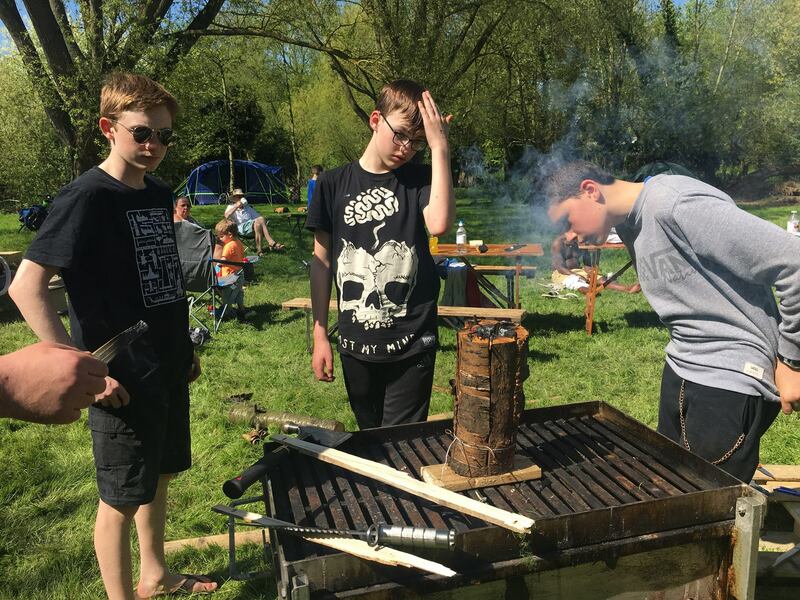 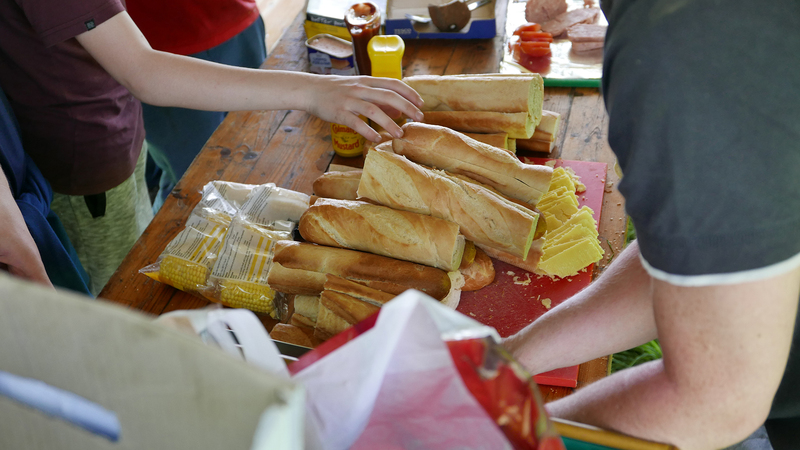 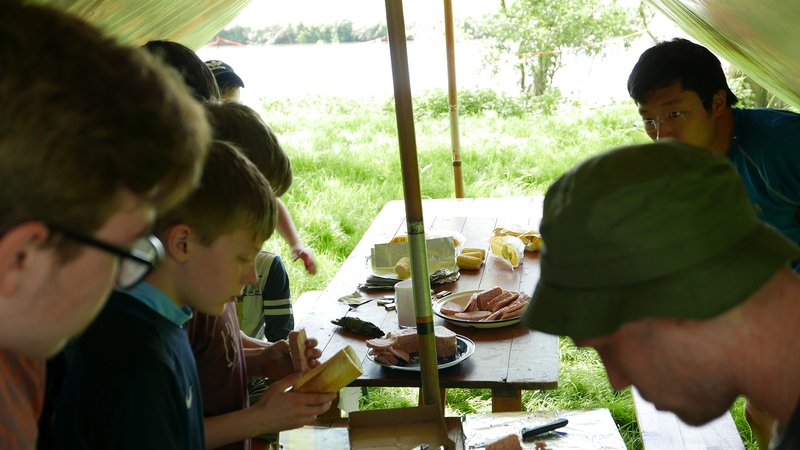 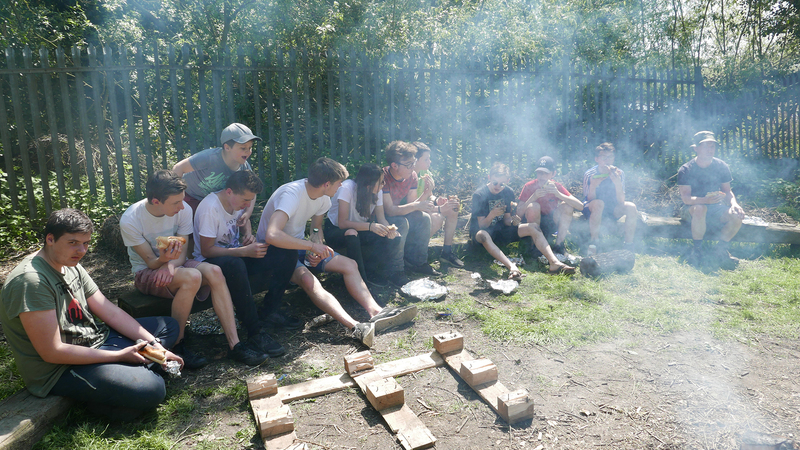 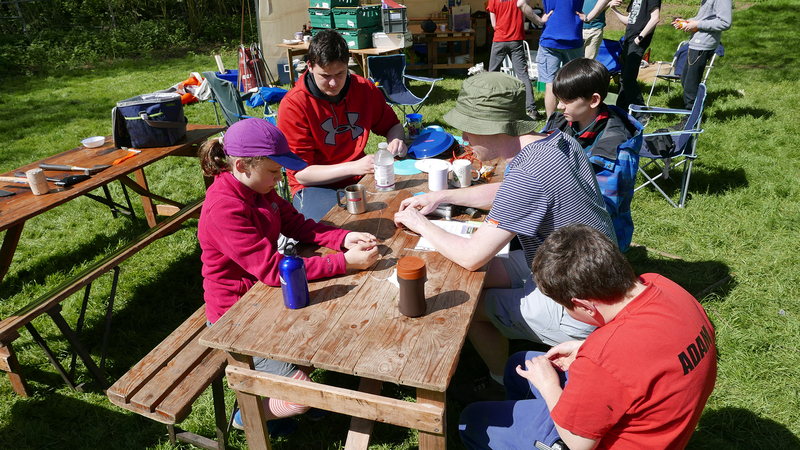 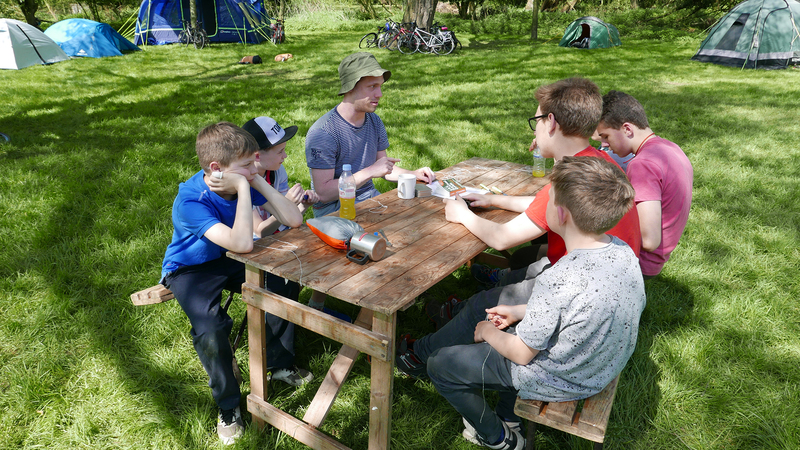 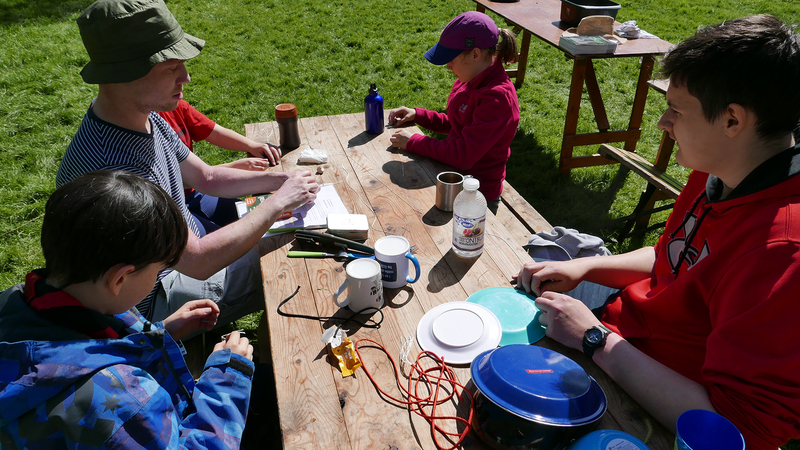 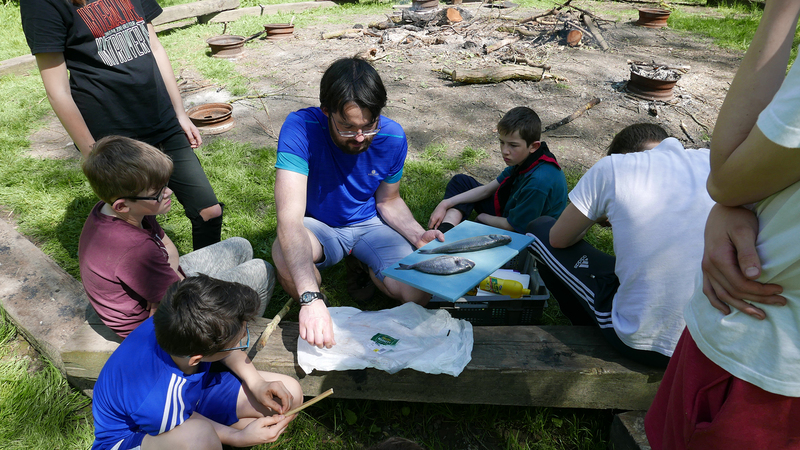 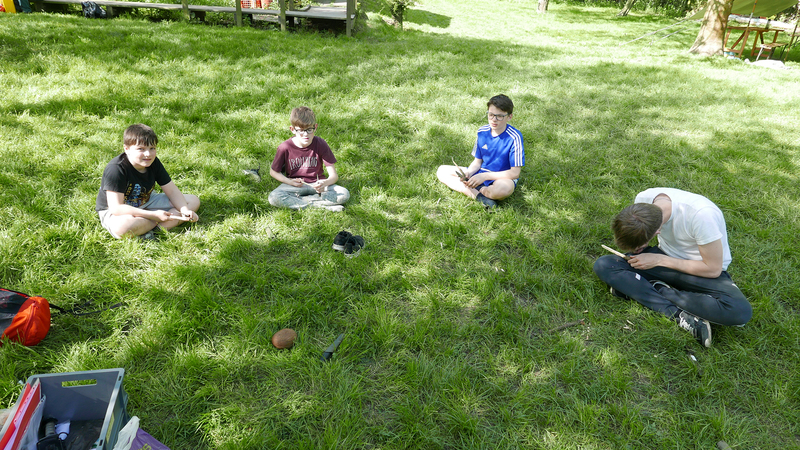 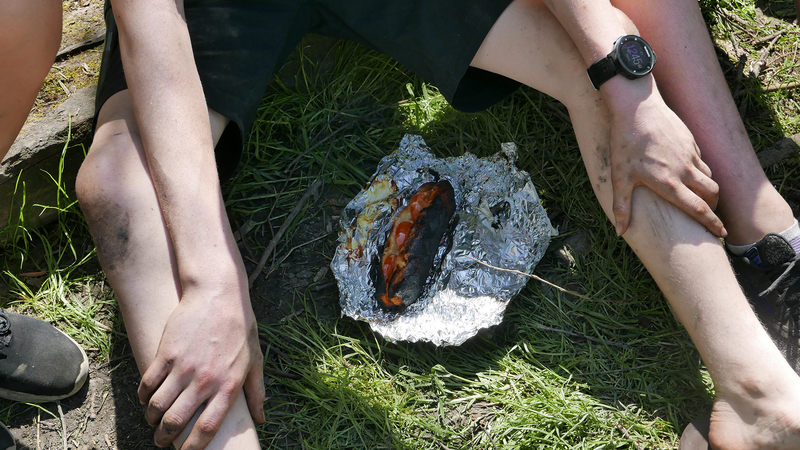 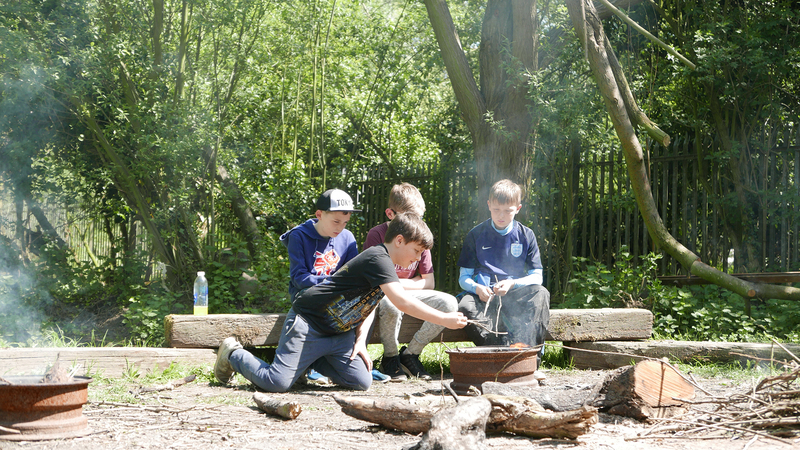 Scouts learnt how to make fires, cook without utensils, gut fish (sea bass and bream – we are posh! 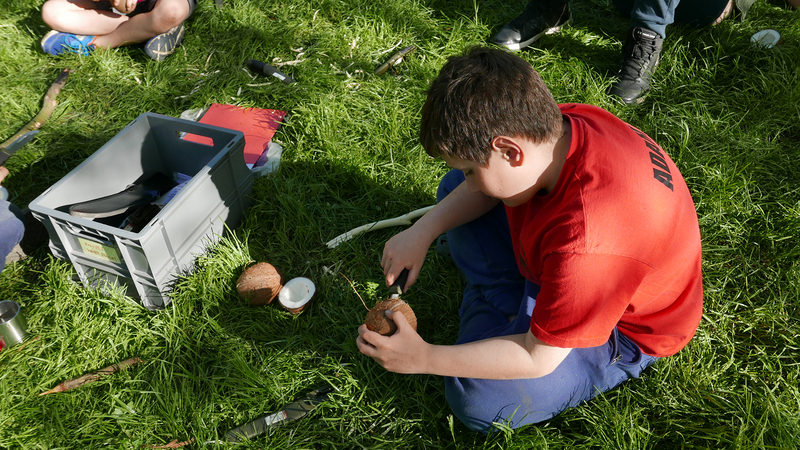 ), survive on a coconut, build temporary shelters , raft building, set up animal snares etc. 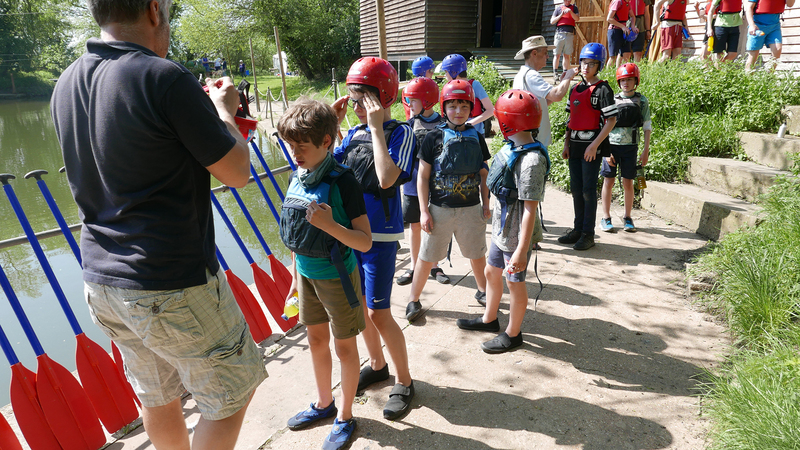 We even went on a 3-hour bell boating trip on the River Great Ouse! 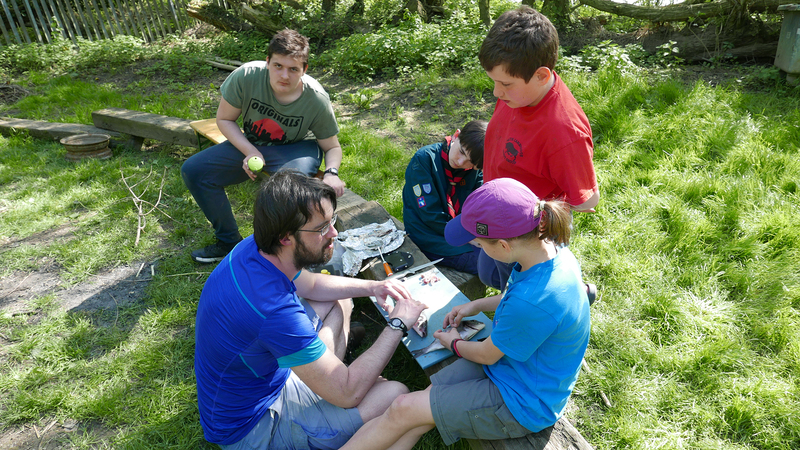 A massive well done to all Scouts who took part! 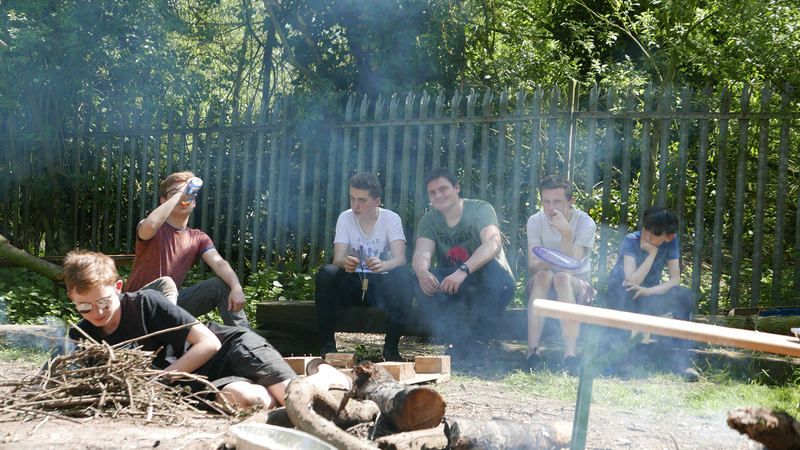 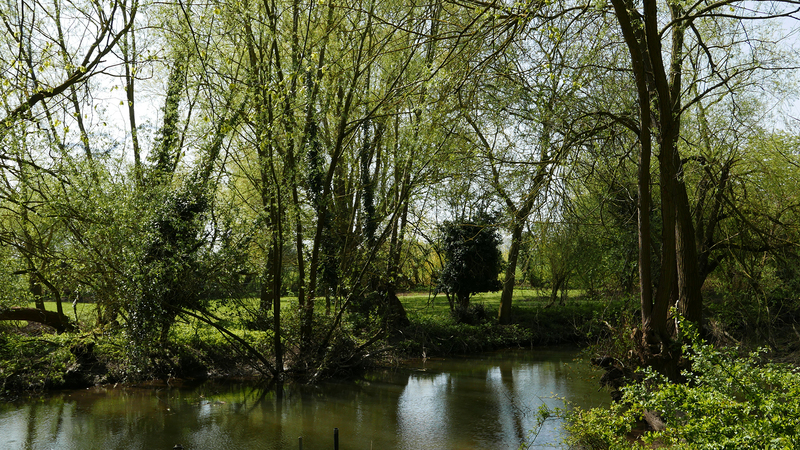 Hope everyone has had some well-earned rest and has recovered from the heat. 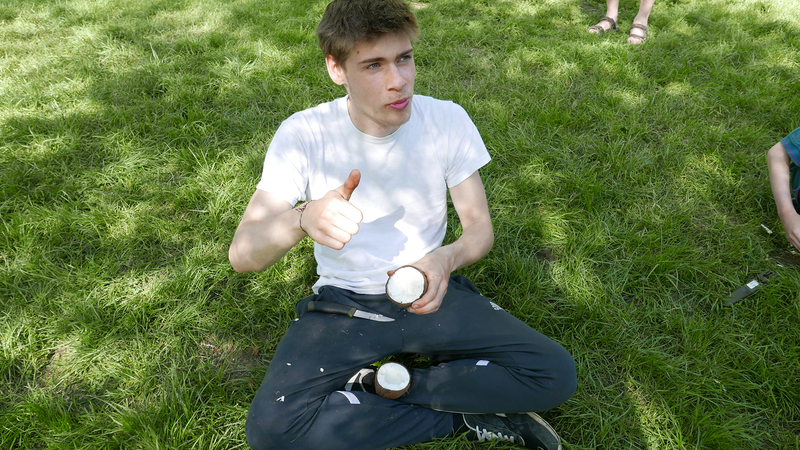 Now some pictures!